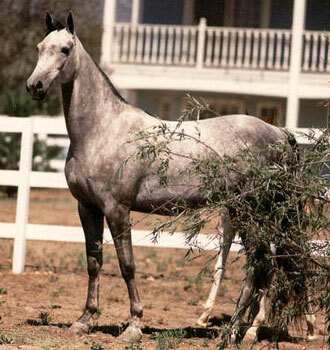 1986 Jammin' The Blues- (Gray M by Admiral's Windjammer) 1986 TX Futurity Reserve Champion Weanling Filly. 1988 CA Fall Classic 2 Year Old F/H Champion. 1989 Del Mar National Reserve Champion 3 Year Old 5 Gaited. 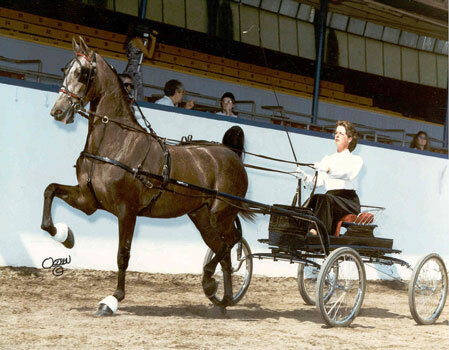 1990 Spotlight Champion 5 Gaited Pleasure. 1991 California Fall Classic Country Driving Reserve Champion. 1992 Charity Fair Christine Shaw Champion, Champion Hunt Pleasure, California Futurity Christine Shaw Champion. 1993 Winsdown Baku- 1994 Arkansas Futurity Yearling Grand Champion, 2001 National Pleasure Horse Show Country Hunt Champion . 2002 Mid-America Signature S&B Hunt Champion and Country Hunt Champion. 2000 Nitrus Oxide- 2005 Children's Benefit S&B Shatner Reserve Champion. 2009 Red White And Blue Country Western Reserve Champion and SB Shatner Reserve Champion. 2009 Inter-County SB Shatner Champion. 2002 Ashcreek's Ashfault- 2004 Pennsylvania Futurity 2 Year Old In Hand reserve Champion. 1997 Winsdown Azerbaijan- 1997 Kansas Futurity Reserve Champion Weanling Filly. 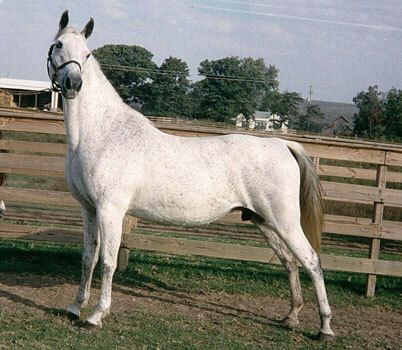 1998 Indiana Futurity reserve Champion Amateur Yearling. 2001 Winsdown Crystalline - 2001 Texas LTD Stake Grand Champion, Iowa Futurity Weanling Grand Champion, Colorado Futruity Weanling Grand Champion and Oklahoma Amateur Weanling Champion. 2004 Winsdown New Horizon- 2004 Texas LTD Stake Reserve Grand Champion. 2005 Missouri Futurity Yearling Colt Reserve Champion. 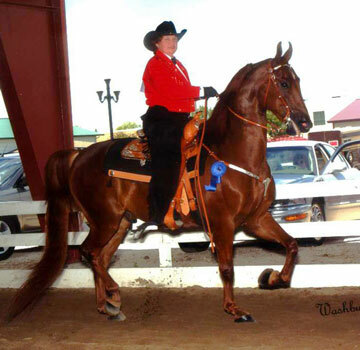 2008 Country Western Novice Champion. 2009 Mid-Summerfest Open Western Pleasure Novice Reserve Champion. 2009 Minnesota Futurity Country Western Prospect Reserve Champion. 2009 Spring Tune-Up Open Western Pleasure Novice Reserve Champion. 2010 Fash Spring Open Western Champion. 2011 Spring Tune-Up Open Western Reserve Champion. 2012 Octoberfest (MN) Country Western Reserve Grand Champion. 2006 Winsdown SIlver Day- 2006 Texas LTD Stake Reserve Grand Champion. 2007 Missouri Champion Yearling Colt. 2007 Texas Yearling Reserve Grand Champion. 2007 Minnesota Yealing Reserve Champion. 2009 Middlebrook 3 Gaited Country Reserve Champion. 2009 Eastern Classic Country Western Champion and 3 Gaited Country Champion. 2011 Rockbridge Country Hunt Champion. 1998 Tiggerific- (AKA Winsdown Spring Steel)- (Chestnut G by Winsdown Black Gold) 2000 Kentucky State Fair Ribbon Winner, 2-Year Old 5 Gaited. 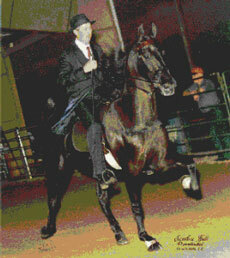 2000 Texas State Fair Winner 2-Year Old 3-Gaited. 2001 Denver Queen City Junior Park Reserve Champion. 2004 Great River Benefit S&B Shatner Western Champion. 2004 Iowa State fair Country Western Champion. 2004 St. Louis Country Western A/O/T Champion. 2005 Des Moines Springfest Country Western Grand Champion. 2005 Great River Benefit Country Western A/O/T Champion. 2006 Mid-States Country Western Reserve Champion, Country Western Champion and S&B Shatner Reserve Champion. 2008 Iowa Fall Classic S&B Shatner Reserve Champion. 2008 Great River Benefit Country Western A/O/T Reserve Champion. 2009 Des Moines Springfest Country Western A/O/T Grand Champion. 2009 Iowa Summer Spectacular SB Shatner Champion. 2010 Iowa Summer Spectatular Open Western Grand Champion. 2010 MId-States S&B SHatner Western Champion and Open Western Champion. 2011 Mid-States Country Western Grand Champion. 2011 Great River Benefit Country Western Iowa Owned Reserve Champion. 2013 Des Moines Springfest Country Western A/O/T Grand Champion. 2013 Iowa Fall Classic Country Western Reserve Grand Champion.